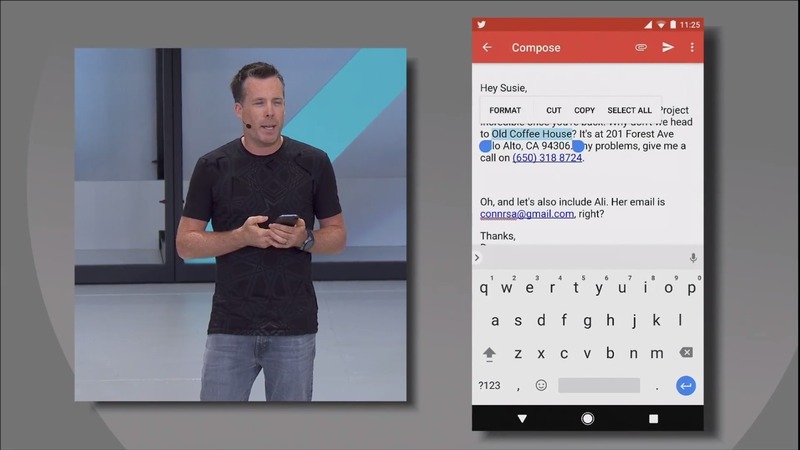 Now when you double tap on a relevant bit of text, Google's machine learning software is able to figure out where the relevant information starts and ends, and automatically selects all of it, rather than just the tiny part you tapped. It works for physical addresses, email addresses, names, phone numbers, and even suggests contextually relevant means of interacting with the data right next to the other options that appear like Cut and Format. All of the information is processed on-device, so the privacy conscious need not worry too much, and from a technical level it's very cool that the machine learning software is snappy enough to do it all locally. All the tiny bits of precious time this can save will add up, even if you forget to use the Assistant.